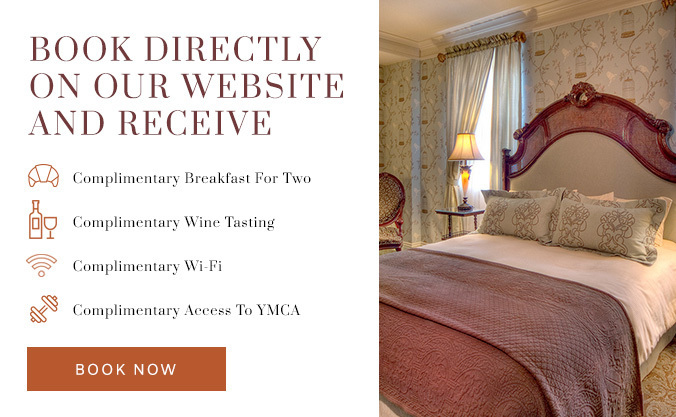 This Valentine’s Day, experience luxurious accommodations and old-world charm with the Charley Creek Inn’s “Romance Package.” Receive a welcome gift when you check in, along with chocolate-covered strawberries, a wine-tasting with a cheese board, breakfast for two, and champagne in your room. 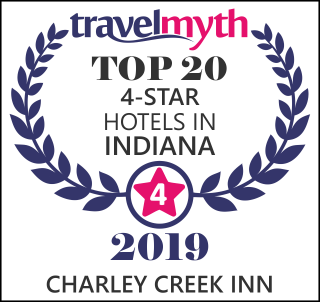 Located in the heart of downtown Wabash, this uniquely restored hotel features the best in fine dining, wine, beer and spirits, and shoppes with artisan candies and Indiana-made ice cream to make your stay even sweeter. For a truly romantic experience, be sure to request our Romantic Deluxe Suite, with its large jetted tub and cozy fireplace. Delight your taste buds with Lobster Mac & Cheese or an order of Blue Duck Flat Bread with Bourbon Fig Jam at Twenty. Visit our Green Hat Lounge and sip on seasonal martinis, IPAs, or choose from one of over 20 wines by the glass. Our cellar stocks 200 bottles, so wine connoisseurs can open a bottle to share. Don’t forget to take home a bottle of wine or box of candies for some sweet memories. For more information about our “Romance Package,” call (260) 200-3996, visit www.charleycreekinn.com/rooms-suites-in-wabash, or www.facebook.com/charleycreekinn.